A preposition is a word that shows the relationship between a noun or a pronoun and other words in the sentence. The two most common usages of prepositions are 1. to introduce an object, and 2. when they are words or groups of words that, when used with a noun, pronoun, or noun phrase, express direction, location, or time. 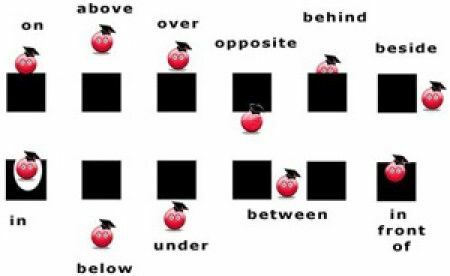 Prepositions are a very important part of English sentence. A preposition is a word that shows the relationship between a noun or a pronoun and other words in the sentence. A preposition is a word that shows the relationship between a noun or a pronoun and other words in the sentence. There are about 150 prepositions in English. On, in, at, by, under, above, beside, to, out, from, for are some of the most common preposition words. Prepositions are used more frequently than other individual words. For example, the prepositions of, to and in are among the ten most frequent words in English. She put the pen on the desk. We went into the hall. We meet at 6 am. He is dashing to make the flight. Prepositions usually come before the noun or the pronoun. My room consists of a bed. Did you call me greedy? Don’t look for love there. Shane has been caring for his mother. Prepare for the cold winters here!